ZelieBlok 1900S is a calcium silicate board manufactured by a unique patented process together with a patent protected formulation utilizing the highest quality raw materials. ZelieBlok 1900S is designed to serve as a backup insulation for any refractory construction, such as insulating fire brick, dense refractory brick, castable, gunning mix, plastic refractory or ceramic fiber. 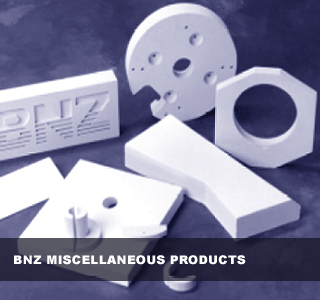 ZelieBlok 2000S is a calcium silicate board manufactured by a unique patented process together with a patent protected formulation utilizing the highest quality raw materials. ZelieBlok 2000S is designed to serve as a backup insulation for any refractory construction, such as insulating fire brick, dense refractory brick, castable, gunning mix, plastic refractory or ceramic fiber. The above physical and thermal properties for our insulating bricks are derived from averaged values on standard squares in accordance with standard test methods. No guarantees or warranties are given or implied for the above values. These figures therefore are not to be used for specification purposes. Supply specifications are available on request. This information is supplied as a technical service and may change from time to time without notice. All s.a. grades above are available in slab form up to 600 x 400 x 100 mm format.